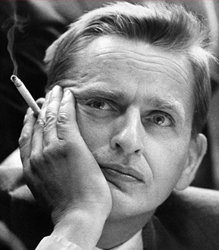 The Olof Palme Memorial Fund will each year award scholarships in accordance with the Fund’s purposes: for peace and disarmament, for international understanding, against racism and hostility to foreigners. 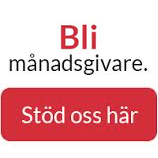 To apply for a grant from the Olof Palme Memorial Fund, you are requested to fill in our electronic application form (only in Swedish) to be submitted at the latest March 20/September 20 of each year. You are required to apply in cooperation with a Swedish organization. About 6-8 weeks after the respective dead lines, the Board meets to decide on the grants. Within a week after the Board meeting, the recipients chosen by the Board will be informed. Due to the large number of applicants, only those receiving grants are contacted. From the 300-400 applicants received at each application period, about 25-40 can be granted. For more information, please visit www.palmestipendiet.se or send us an e-mail to info@palmefonden.se.